As you know I am a big fan of shopping investment pieces at the start of a new season. Thus with fall finally here and layering style super essential, investing in the right outerwear is key to streamlining your autumn wardrobe. Helping you sift through this seasons coat trends, I partnered with Marimekko to create a coat shopping guide and find you the right investment piece for this fall. If simple and classic is your pace, the minimalist trend is still going strong. Consider updating a peacoat look with oversized shapes, raw edges, sculpted bodices. The key to shopping this trend is fit. In other words, minimalist does not mean baggy. Shop for a piece that is tailored to your height and shape. This will ensure you will look sleek and not sloppy. 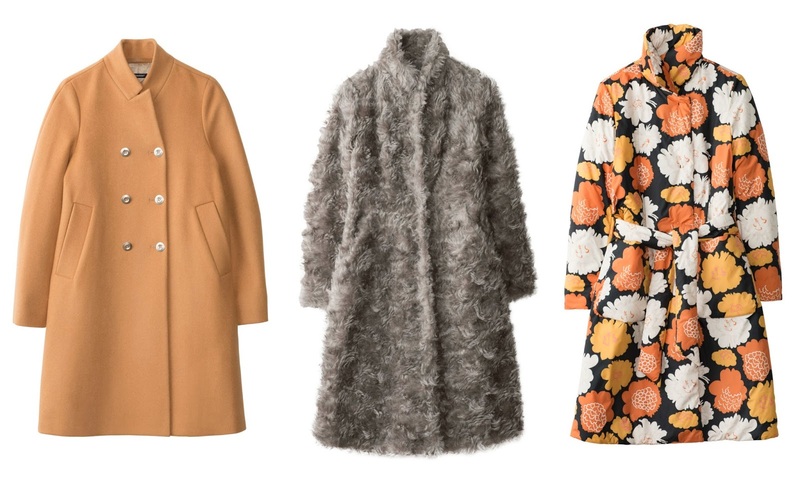 Shop this trend via the Marimekko VIKI coat. If you like to play with texture, shearling made a major comeback in the 2016 fall fashion week runway. Not just limited to lapels and lining anymore, this typically retro style material got an urban chic makeover. The key to doing this trend is shopping for it in neutral hues that keep the stylish shag from looking like you are wearing a tacky rug. Shop this trend via the Marimekko YVETTE coat. If you love color and print like me, moody florals and graphic shapes in bright and bold pallets are fair game this season. An ode to summer and spring, shop for fall 2016 pantone hues like Spicy Mustard, Airy Blue, and Bodacious. Shop the trend via Marimekko KATJUSKA coat. Making your coat shopping even sweeter, now through October 18, Marimekko is collecting gently used coats at their NYC, Boston, Cambridge and Palo Alto stores. The coats will be donated to those in need ahead of winter’s cooling temperatures. With a donation, customers will receive $75 off a new Marimekko jacket/coat, valid through November 19. Stay tuned to the blog to see my fall coat style! XO!